While periods might seem like a normal, natural things in the western world, in developing nations such as Nepal menstruation is still taboo, and something that many girls are made to feel ashamed of. In fact 1 in 5 girls in Nepal will miss school because of their periods, being too worried and embarrassed to attend school during that time of month. Local Women's Handicrafts (LWH) is helping to not only remove this stigma from Nepalese society but also tackle the environmental issue associated with menstruation – single use, plastic, chemical-based sanitary pads. It takes 800 years for regular sanitary pads to decompose. 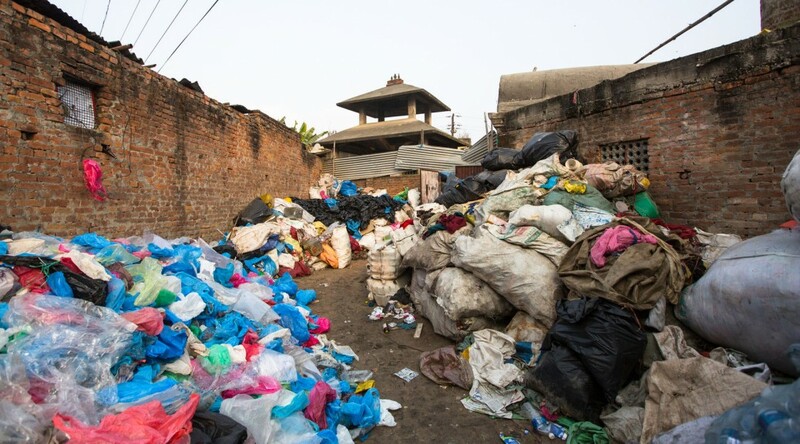 The average woman will use 350 packs of plastic sanitary pads during her lifetime - that's a lot of waste entering Nepal's already overflowing landfills. By contrast, LWH's sanitary pads are 100% biodegradable and reusable, and the average woman will only use 16 of these pads in their lifetime. The sanitary pads are made in LWH's fair trade centre, a centre that provides employment opportunities; fair working conditions and wages to over 35 women from underprivileged backgrounds. Nasreen, the founder, started the organisation with a dream to provide fair opportunities to people in the garment industry, an industry still rife with child labour and unfair working conditions in developing countries around the world. When Nasreen was just a child she experienced what it was like to be forced into child labour. She worked for 15 hours a day getting paid as little as $5. It was those experiences that inspired her to start LWH, and provide opportunity and empowerment to the women of Nepal. With a strong concern for our natural environment Nasreen begun to enforce sustainable solutions into her business, making garments out of recycled saris and producing reusable, anti-bacterial, anti-fungal, sanitary pads, which are also made using leftover materials in the shop. Nasreen began a campaign to raise money to produce and distribute eco-friendly sanitary kits to schools in remote regions, while also educating the girls on feminine health, the causes of menstruation and how they should look after themselves during this time. Despite the girls being shy at first Nasreen and the team at LWH could see how much the girls were benefiting from this education, that could then trigger the conversation with their friends and family. An action Nasreen hopes will help lift the stigma that surrounds this topic for good. 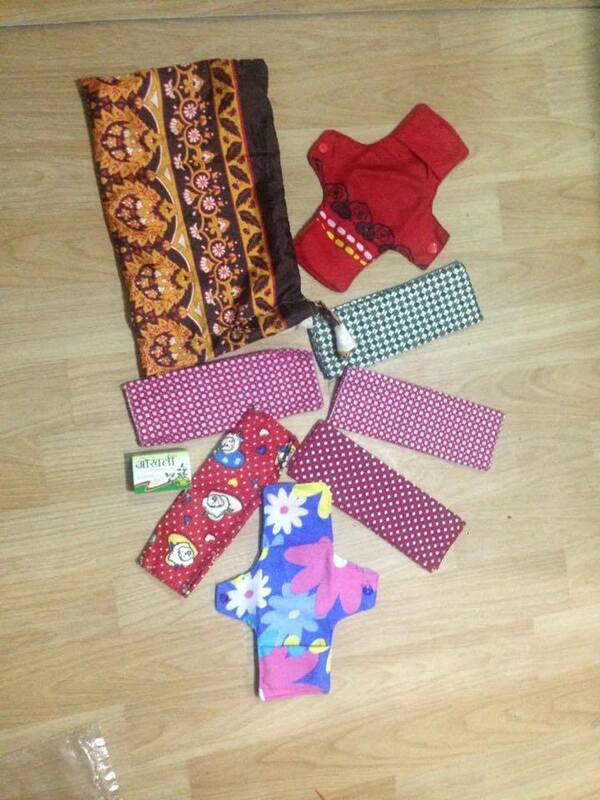 For only $7 LWH can produce one sanitary kit that includes 2 cotton sanitary pads, 5 washable fillings, 1 bar of soap and 1 reusable bag that can be used for many years. Just one kit can empower a woman to change the way they think about menstruation and remove prohibit thousands of single use sanitary pads entering landfill every year. 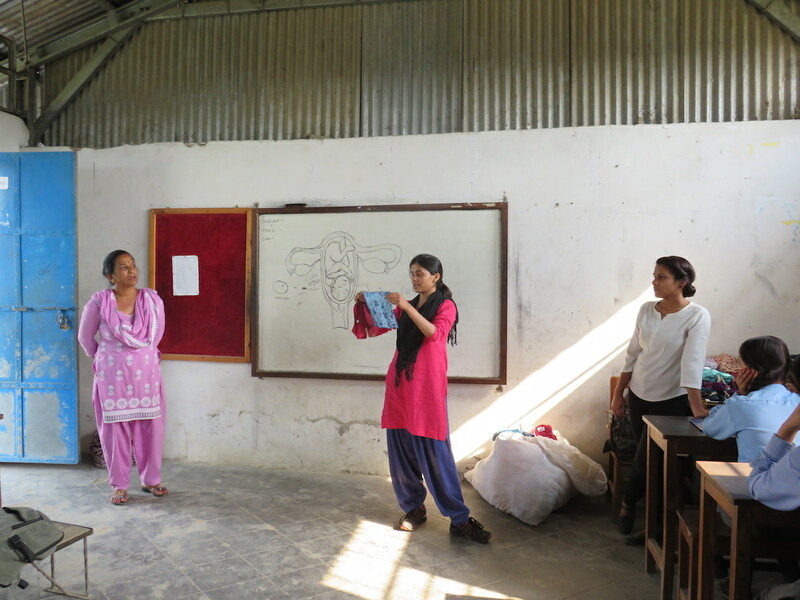 Find out more about LWH's eco-friendly sanitary kit distribution at their website LWH Nepal. Bianca is a freelance journalist & blogger from Sydney, specialising in stories about responsible tourism, fair trade and community development, with the aim to promote ethical values and give a voice to organisations who are making the world a better place. She has travelled to many countries around the world and helped a variety of organisations and local businesses to share their stories of sustainable development. Check out her Facebook and Twitter for more.